And just like that the first month of our new-look book club concludes! Thank you to everyone who shared photos and mini reviews over on social media throughout the month. 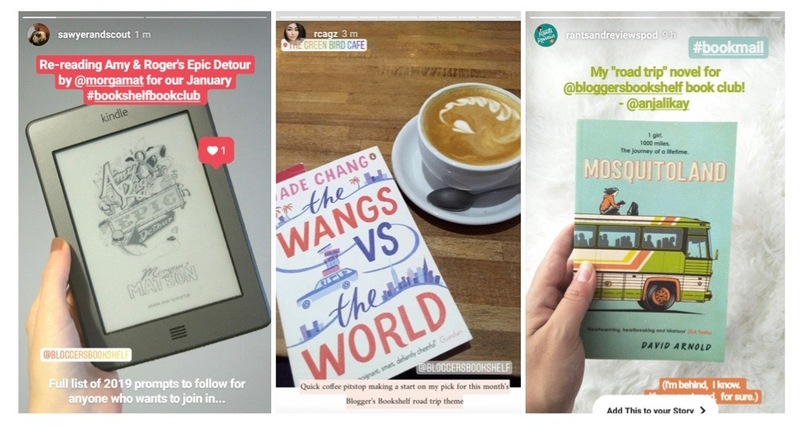 We loved seeing how you interpreted our January prompt 'a roadtrip novel' and which books you were reading - we hope you enjoyed them! "Mosquitoland is about Mim, a teenage girl who boards a greyhound bus in Jackson, Mississippi, and makes her way across America to Cleveland, Ohio. Along the way she meets various people, and writes letters to Isobel, where we learn a little more about her life, her parents' divorce and why Mim is on medication. "My book club read follows the Wang family after the collapse of the patriarch, Charles Wang's, cosmetic's empire and consequent bankruptcy. Charles pulls his young kids, Grace and Andrew, out of their respective privileged, private schools, and hauls them and his second wife Barbara across the country on a road trip to upstate New York, where his eldest daughter, Saina, is currently hiding out after a nosedive in her own career as an artist. We'll be introducing February's book club tomorrow so don't forget to check back!